These pants hold nothing back! Bold and bright in rich scarlet floral, they are an unapologetically contemporary twist on a classic wide-leg, high-waist printed pant. Perfect to hire for your next cocktail brunch, these pants define sophistication dancing with danger. Guaranteed to become a staple of any spring wardrobe! 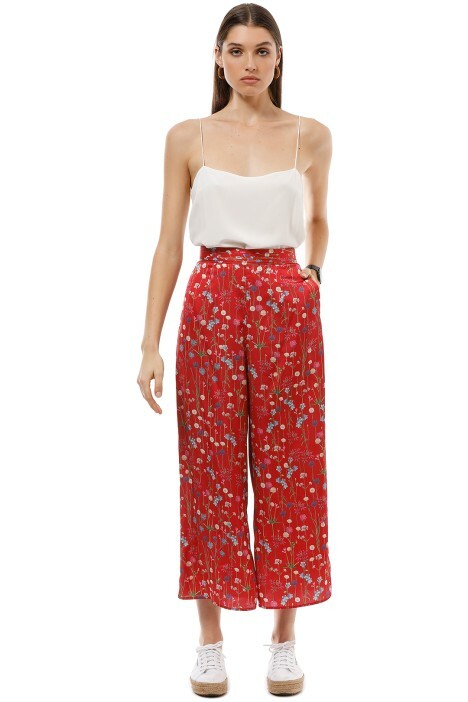 Top these pants off with an equally bold top or fitted top for added contrast and chic! Rent a red foldover clutch and rock your favourite white slingback heels. Let your hair fall in soft waves and wear a pink lippy to complete. Check out our blog for more tea time style inspiration!